Dust mites live off of the dead skin cells of humans. Most commonly found in mattresses, these insects can also be found in carpets and closets. The problem with these microscopic creatures is that many individuals are allergic to their feces. Allergy and asthma symptoms can develop or become worse due to a dust mite infestation, particularly if they have infested the clothes you wear each day. Getting rid of dust mites in your closet may improve your comfort and overall health. Dust mites can live in your closets. Wash every washable item in your closet in hot water. Water temperature over 130 degrees Fahrenheit is hot enough to kill dust mites. 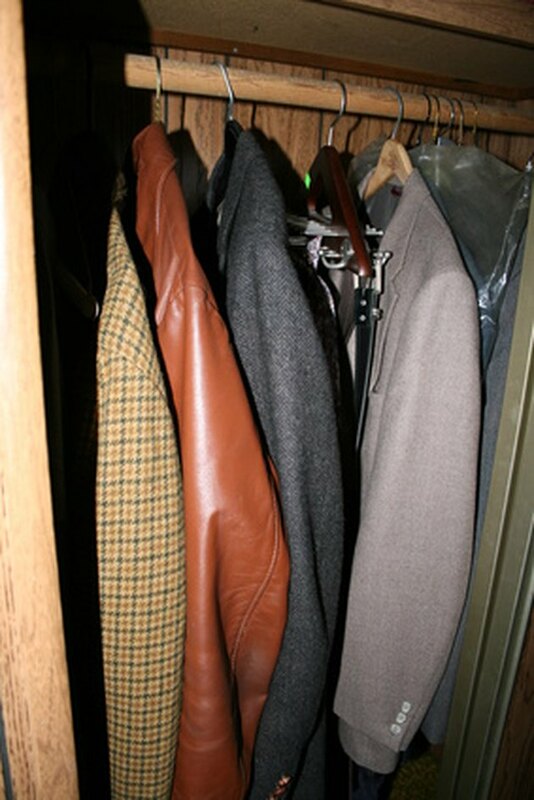 Do note place the items back in the closet after washing until the mite infestation is gone. Take any of your children's toys or other small objects from the closet and set them in the freezer for 24 hours. This will kill any dust mites that may be living on them. Vacuum all surfaces of the closet and any items within it such as shelves or rods. Remove the vacuum cleaner bag when you are finished, tie it up in a plastic garbage bag and toss it in an outdoor trash can immediately. Increase the ventilation in your closet or use an air purifier. This will clean the air of dust and dead skin cells, taking away the dust mites' food source. Place a moisture remover in your closet such as a dehumidifier or non-chemical moisture absorber. Dust mites don't survive well in dry air. Replace the carpeting in your closet with tile or linoleum if possible. Dust mites can't live on tile or linoleum. 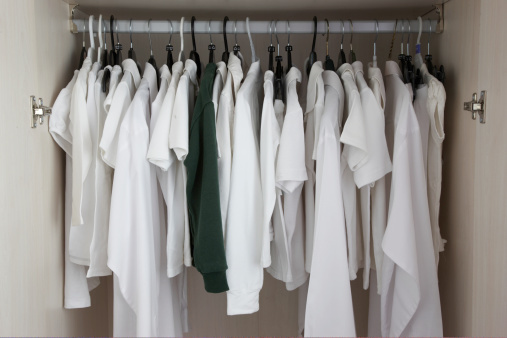 Keep your closet clean once the dust mites are gone. Clutter collects dust and dead skin cells, providing a food source for a new infestation.